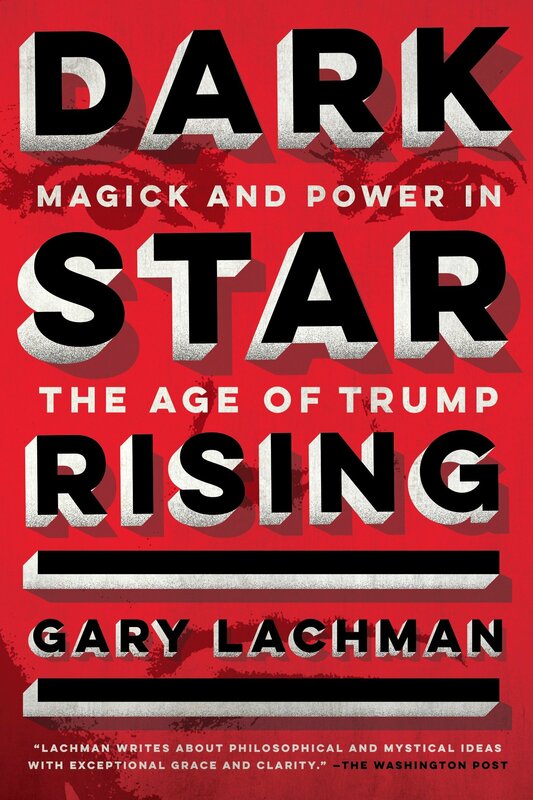 On this edition of Parallax Views I speak with author Gary Lachman about his latest book Dark Star Rising: Magick and Power in the Age of Trump which details the metaphysical underpinnings of the Trump Presidency and the alt right through the New Thought Movement, Russian geostrategist Aleksandr Dugin, and the obscure Italian occultist Julius Evola. The conversation begins with Gary explaining how and why he became interested in the occult and metaphysical underpinnings of the Trump Presidency and the alt right, comparing and contrasting it to his previous work Politics and the Occult: The Left, the Right, and the Radically Unseen. 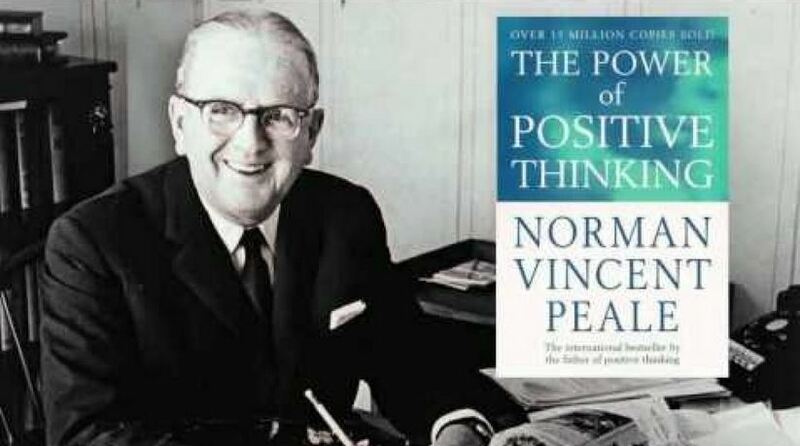 From there we delve into the influence of New Thought on Donald Trump through the figure of Norman Vincent Peale as well as detailing the alt right's own flirtations with New Thought ideas. This leads us into the topic of "meme magic" which the alt right, sometimes seriously and other time ironically, claim led to Trump's victory in the 2016 Presidential election. In this portion of the discussion Gary guides us through the alt right's mythologization of the cartoon frog Pepe into a metaphysical avatar called KEK and how it ties into the concept of synchromysticism. This leads to Gary giving a rundown of what he calls "trickle-down metaphysics" in an era of social media and reality television. 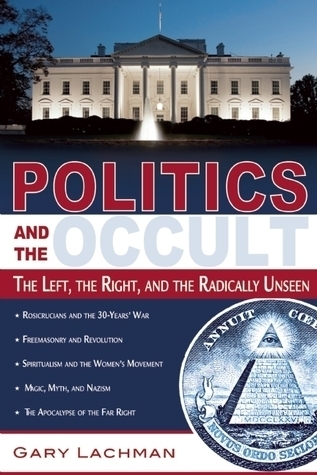 We then segue into discussing two of the most prominent figures discussed in the book: Russian geostrategist Aleksandr Dugin and the fascist Italian occultist Julius Evola. Gary notes how both names became relevant in Western media thanks to Trump's former right-hand man Steve Bannon before dissecting the thoughts and ideas of the two figures. He explains Evola's relation to the Traditionalist School of thinkers led by Rene Guenon and his significance amongst the far-right during and after WWII. 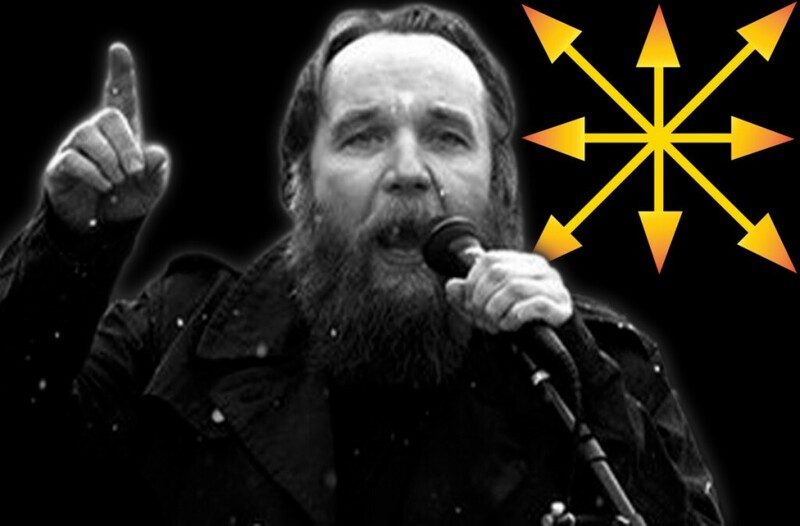 Then he delves into the strange history of Aleksandr Dugin, who he descibres as starting out as Russian punk dissident before developing into a thinker of the modern far-right who popularized the concept of "The Fourth Political Theory". We get into how Dugin seems to have been influenced by the ideas of German reactionary and historian Oswald Spengler, author of The Decline of the West, and has begun taking ideas from pre-Bolshevik Russian traditions. Aleksandr Dugin, often referred to as "Putin's Rasputin"
The conference “The Future of the White World”, Moscow, 8-9 June 2006. (left to right) Constantin von Hoffmeister, Vladimir Avdeyev, Pierre Krebs, Galina Lozko, Guillaume Faye, Pavel Tulaev, Pierre Vial, David Duke (? ), José María Álvarez. The conference “Against Post-Modern World”, Moscow, 15 October 2011. Left to right: Geydar Dzhemal, Christian Bouchet, Natella Speranskaya, Aleksandr Dugin. Conference “Against the Modern World”: (left to right) Claudio Mutti, Aleksandr Dugin, Christian Bouchet, Natanella Speranskaya, Laurent James. Would you like fries with that conspiracy? Shortly after Dugin penned this internal analysis, he – along with Konstantin Malofeev, Putin’s adviser Glazyev, and RISS’s chairman SVR-General Reshetnikov, launched Katehon, a multi-language website & think-tank, speaking directly to the international extreme right in English, German, French, Spanish, Serbian and Russian. I leave you with a few randomly selected headlines from the last few months, as tweeted out by Dugin himself. The overlap with the “theses” bullet-points from Dugin’s memo is, doubtless, not coincidental. My take-away from re-reading this memo is that Dugin – and his handlers – do not believe the tinfoil-hat conspiracies they promote. They do not necessarily believe in the quasi-reactionary ideology that they pretend to espouse. They just did market research – identified a niche – and are manufacturing and selling the product. And are very likely privately laughing at the intellectual paucity of their customer. No, Dugin & co are not Orthodox, Byzantine-ist nuts. They are savvy, diligent manipulators of the West. And the West is utterly unprepared. SINCE VLADIMIR PUTIN'S RETURN TO POWER IN 2012, THE WESTERN FAR-RIGHT HAS LOOKED TO RUSSIA FOR SUPPORT. Over the past few years, Russia’s links with the Western far-right have popped up in any number of socio-political developments, on both sides of the Atlantic. Fake social media accounts and marches with tiki torches. Presidential elections and international conferences. Propaganda overlap and relations with those circling the White House. While Marine Le Pen, whose National Front obtained a loan outright from a Russian bank, failed in her bid to lead to France, and while the jury’s still out on the effect the fraudulent Russian Facebook and Twitter accounts actually had, it’s clear that the ties between Russian operatives and far-right activists and movements throughout the West have strengthened recently. But getting a handle on the depth, as well as the impact, of the links between the Kremlin and the white nationalists and fundamentalists who would inject Putinist illiberalism into the West has proven difficult. Thankfully, Anton Shekhovtsov – a visiting fellow at Austria’s Institute for Human Sciences, and someone who has chronicled Russian and Western far-right to a greater extent than any other researcher – has just finished off Russia and the Western Far Right: Tango Noir, a book examining both the history and current status of these ties. ThinkProgress spoke with Shekhovtsov about the Soviet history with Europe’s hard-right, how Russia’s 2014 Ukrainian invasion changed everything, and where these ties go from here. I think one of the things you make clear in your research is that while relations began developing once more in the early 1990s, after the fall of the Soviet Union, it wasn’t necessarily a top-down, Kremlin-led initiative, so much as a bottom-up, almost subterranean development of relations, far from any kind of official policy. Absolutely. The Kremlin was not interested in those relations until, I would say, the beginning of the second term of Vladimir Putin as president in 2004. Do you think Kremlin higher-ups were simply unaware of those ties developing in the early 1990s? Or did they think it wasn’t any use to them, or something they wanted nothing to do with? In my opinion, Russia under [Boris] Yeltsin, and even during first presidential term of Putin, they wanted to develop ties more with mainstream forces – and they were succeeding, especially in the 1990s. They were considered in the West as a striving democracy that was reforming itself, and the Kremlin was not interested in those marginal politicians. Even during the second presidential term of Putin, these contacts and these relations were not as significant as they are now. So it developed very slowly, very gradually – but the period we live in now, it started from 2012. And that 2012 turn obviously parallels Putin’s return to power, which was based not on economic growth, but based on “traditional values,” a domestic nationalism – which seems like an extension, or at least something that shares overlap, with the resurgence of those ties with the Western far-right. But what about the 2008 war between Georgia and Russia? There seemed a realization in the Kremlin that they’d lost the international narrative on that, and they needed a new push in the information space that saw things like the change and growth of RT afterward – is that related to these ties with the Western far-right? The war in Georgia in August 2008 played a very important role in the reconceptualization of Russian international media, because as you correctly said there was a feeling in expert circles that Russia lost the international information war. And they decided basically to re-imagine their international media, like Russia Today, also the radio station Voice of Russia, so they went from soft power to, say, dark power. To re-conceptualize the international media meant that they would be talking more about how the West is bad, rather than saying that Russia is good. In order to promote this message, they of course encountered a problem: not many people – activists, politicians, experts – would be ready to support that message. But then they realized they could count on the far-right, and 2008-2009 was the time when the Russian media increasingly stated to engage with the far-right in Europe, in the U.S., and present them as commentators or experts. That was a crucial moment. In terms of this engagement, or re-engagement, with the Western far-right, obviously the far-right encompasses plenty of figures and groups. Are there any actors or organizations that stand out for setting a pattern or precedent in terms of ties with Russia? I would draw on two examples, and I would say that the Kremlin, or even the Russian media, could count on political forces in the West that were ready to cooperate with Putin’s Russian even before Putin’s Russia was ready to do that. I want to stress that there is an agency on the part of the far-right in the West – it’s not that the Kremlin is actively trying to manipulate them, but they’re ready to be manipulated. So the two examples would be first the Freedom Party of Austria, that was very much ready to provide the narrative and message that Russia was interested in, but also some fringe circles in France that appeared as organizations in 2008, 2009, and they appeared only because of the Georgia war. And one of their aims or objectives to promote the war with Georgia. There’s been plenty of coverage on Russia’s ties with the far-right in Europe over the past few years – with the National Front in France, Jobbik in Hungary, the Freedom Party in Austria – but I was wondering: In your research over the past few years, was there anything that stood out that may have been the most under-reported aspect of the relationships, like the agency you just mentioned on the part of these far-right groups? I think that that was the most problematic feature in the coverage, especially in the media – not from experts, but from the media – that they consider these relations as a sort of one-way type of relationship, that the Kremlin is manipulating them, or that the Kremlin was behind all those initiatives. But this is not true. First, there were a lot of initiatives coming from the far-right, and second, unfortunately the knowledge of Russian politics, of how Putin’s Russia functions, is generally too low in Western media. One thing that they don’t realize is that the Kremlin makes only very important decisions – but many of these relations that have been developing since 2008, or 2011-12, these relations were operated not by the Kremlin but by people who wanted to produce a result coming from those relations that they could sell to the Kremlin. They would be pro-Kremlin, obviously, or pro-Putin, but they wanted those relations to succeed and then sort of sell it to the Kremlin in exchange for better access to resources. So a lot of these relations were operated and developed by, say, freelance activists or pro-Kremlin politicians. The previous issue of Libero featured an interview of the Italian philosopher Diego Fusaro, which led me to wonder why a left-wing magazine would give a platform to such a character. PhD in Philosophy of History, Fusaro is a researcher in Milan. He publishes books with the most prestigious publishers and makes regular TV appearances. He is a great speaker, but his talents fail to hide his politics. Feltrinelli, a historical publishing houses of the Italian left, entrusted a monograph of Antonio Gramsci to Fusaro. But it seems no-one is paying attention to the fact that Fusaro’s Gramsci is anti-scientific and nationalist, and a direct subsidiary of the right-wing Gramscianism theorized in the 1970s by Alain de Benoist. Twisting the writings of Marxist theorists seems to be Fusaro’s favourite pastime. In one of his articles, Fusaro has tried to enlist Lenin in the anti-European campaign in defense of the the bourgeois nation state. You don’t need to be a Marxist-Leninist to know that Lenin was not in favour of a bourgeois nation state. Fusaro remains vague when he speaks about nation and nation state – he uses ambiguous formulas mostly borrowed from Gramsci. As Gramsci said in his Prison Notebooks, our prospects should certainly be internationalist, but the starting point must be the national. The sympathy that some sectors of the extreme right have often offered left-wing movements is something to keep an eye on – it can result in dangerous outcomes for people active in certain areas. As early as in the 1920’s, the National Bolsheviks began to develop in Germany. This movement focused on left-wing issues with nationalist indications – it’s philosophy is comparable to Jean-Marie Le Pen’s description of himself during the French presidential election in 2002 as “socially left, economically right and a French nationalist”. An organisation called “Millenium” has been identified as red-brown by Italian anti-fascists after it tried to collaborate with writer Claudio Mutti. Mutti’s biggest influence is Aleksandr Dugin, a far-right Russian thinker who founded the National Bolshevik Front and the Eurasia Party. These parties aim to unite all Russian speaking countries to create a counterbalance to the Atlantic states. Dugin is also considered a promoter of Putin’s initiative for the annexation of Crimea to the Russian Federation. Dugin’s thinking has been influenced by Jean-François Thiriart, who developed anti-American and anti-Soviet ideas centered on the notion of Europe as the cradle of civilization. Eventually, he began to view the USSR as a nationalist bulwark, with Stalin at its fore, and turned sympathetic to China. He formulated the notion of ”Eurasia” – a political and cultural entity capable of setting back the US, which now perceived as practically the only enemy together with its appendix, Israel. On of the notable developments in the red-brown movement has seen a minority component of “left fascism” infecting the entire span of the extra-parliamentary right-wing. In Italy, we can find traces of red-browns in the parties such as Fiamma Tricolore and Forza Nuova, as well as organisations like the neo-fascist CasaPound and others. CasaPound and Forza Nuova have subscribed to the Third Position (or Third Way) – a nationalist and fascist ideology that presents these groups as being ”beyond left and right”, opposed to both capitalism and communism. Forza Nuova’s leader Roberto Fiore is one of the first developers of this ideology. It’s also important to note that Forza Nuova militants were sent to Donbass to fight for Novorossiya in the Russo-Ukrainian conflict. The red-browns are camouflaged well, hiding their identity behind symbols and policy slogans that appear left-wing on the surface. But one core point characterizes the whole red-brown movement – every phenomenon of collective life is interpreted as an episode in international politics. Social development is determined through the continuous dialectic between culturally homogeneous national blocks and macro-regional opposition, the two of which are in perpetual conflict with each other in order to either achieve cultural hegemony, or to survive. The combination of Europe and Asia (”Eurasia”) is seen as an entity that will be able to defeat US imperialism. The current European Union is not perceived to be sufficient to this end. In order to oppose US imperialism, forging any alliance with states and forces that are pursuing the same goal is acceptable – weather they are Islamic fundamentalists, nationalist Slavs, and socialist countries like Cuba or Venezuela. Capitalism is abhorred, and it’s embodiments, banks and large investment funds, are usually perceived to be in the hands of Jews. Class conflict, however, is considered a thing of the past. In the red-brown view, power relations have become ”geopolitical” – Russia, China and Vietnam (countries that promote neo-capitalism), as well as Iran and others, are seen as opponents of the global system. ”Nations”, ”ethnics” or ”peoples” have come to replace class. The “communitarian” ideology is not considered racist – each community should maintain its cultural identity. The mass exodus of people towards richer countries is not seen as a consequence to poverty, but an American plan to control Europe – and the future Eurasia. With the support of international finance and the bodies that control it, the US seeks to stifle our culture. Masha Gessen is a Russian-American journalist. She started her career in the gay and lesbian press in the United States in the 1980s, then returned to Russia as a correspondent, and stayed for twenty years before the antigay campaign forced her to leave. She is the author of seven books of nonfiction, most recently "The Brothers: The Road to an American Tragedy," as well as the international bestseller "The Man Without a Face: The Unlikely Rise of Vladimir Putin." In 2013 she co-edited "Gay Propaganda: Russian Love Stories," a bilingual collection of personal narratives. Gessen is a current Carnegie Millennial fellow. She lives in New York City. "As early as in the 1920’s, the National Bolsheviks began to develop in Germany. This movement focused on left-wing issues with nationalist indications – it’s philosophy is comparable to Jean-Marie Le Pen’s description of himself during the French presidential election in 2002 as “socially left, economically right and a French nationalist”." Sounds like the American Democrats. "Third Way." Isn't that one of the new platform slogans the Democrats are floating? Opportunity democrats. Take the opportunity of a lifetime, buy a ticket on the USSTitanic, today. Bloated bureaucratic cruise ship past the dire straits of crushing class inequality, on to brighter financial shores for some. Probably not you. But vote for us, we'll remember you when it's opportunity time. We're not promising anything, but we'll put in a good word. I know I give American democrats a hard time, but there's just something so slimy about the whole cult. Republicans I have more sympathy for, they're just hopelessly confused, like children. Look in their eyes, there's always a touch of that 'deer caught in the headlights' fright. International nationalist war doves, unite. Maybe there should be peace hawks. Although, maybe there already are. Whatever. Well, as Jacques Cousteau said, "The sea, the great unifier, is man's only hope. Now, as never before, the old phrase has a literal meaning: we are all in the same boat." Alexander Reid Ross, a lecturer of geography at Portland State University and author of the new book, “Against the Fascist Creep,” said Assad is a figure that is central to a realization of “Eurasianism.” The notion “holds that Russia will lead the world out of a dark age of materialism and toward an ultranationalist rebirth of homogenous ethno-states federated under a heterogeneous spiritual empire,” Reid Ross said. In other words, the Assad dynasty, with the strong backing of Vladimir Putin’s authoritarian state in Russia, is the Middle East’s leading force toward creating a society that is spiritually, socially, and politically “pure.” Cosmopolitanism, with diversity in political thought and social identity, is an obstacle for those aiming to realize this vision. Assad is a key figure in confirming the white nationalist worldview. “Holding on to Syria,” Reid Ross said, “marks for them a crucial foothold in a larger geopolitical mission — one that has everything to do with that spiritual purity associated with family, tradition, and nation.” To the far right, Assad is at the front lines in the fight against the Islamic State and, more broadly, the forces of “Islamic terrorism” in the Middle East under a nationalist banner that looks very much like their own. And the admiration doesn’t run in only one direction. The Assad regime has cultivated relationships with far-right white nationalists for decades. One of these was allegedly Alois Brunner, who actually died in Damascus in 2010. There is reason to believe that Brunner advised Bashar’s father Hafez al-Assad on torture techniques used in Syria’s infamous prison system, even as the regime has denied ever harboring Bruner. dada » Wed Aug 08, 2018 5:34 pm wrote: "As early as in the 1920’s, the National Bolsheviks began to develop in Germany. This movement focused on left-wing issues with nationalist indications – it’s philosophy is comparable to Jean-Marie Le Pen’s description of himself during the French presidential election in 2002 as “socially left, economically right and a French nationalist”." Sounds like the American Democrats. The slaughter in the Druze region of Syria cost hundreds of lives last month. It happened after the Druze told the Russians they wouldn’t fight for Assad. Assad currently is readying his troops and Russian- and Iranian-backed allies to attack the jihadist militants in Idlib, and the Druze leaders we talked to feel that their people were directly punished for not agreeing to join the Syrians in that operation. If the Druze have anything like as many as the 53,000 combatants they claim, obviously they could be hugely valuable to the regime’s army. But that was not going to happen. Assad’s alleged complicity with ISIS is long, gruesome, and well documented. Recently he has had a policy of allowing armed militants to escape from cities in busses, ostensibly to reduce the risk of civilian casualties. ““It is known that Daesh militants in the suburbs of Damascus have been displaced to the east of Sweida in green buses by an agreement with the government: 1,400 Daesh were moved this way to the area east of Sweida and near the Tanf base of the Americans,” one of our Druze sources told us. The U.S. garrison at al-Tanf sits on the strategic Baghdad-Damascus highway, located in Syria on the Iraqi border and within miles of the Jordanian border. This outpost has served as a launching point since 2016 for counter-ISIS operations including training for Syrian opposition factions fighting ISIS, al-Nusra and other jihadists. One of the 10 captured ISIS attackers admits on an interrogation video shared by the Druze leaders that in the village massacres a man from the Syrian government guided them from house to house, knocking on the doors and calling the inhabitants by name so they would unwittingly open their doors to the ISIS attackers. This is not the first time we have heard of such cynical and deadly complicity between the Assad regime and the ISIS terrorists it supposedly is fighting. We have interviewed, now, 91 men and women who defected from ISIS or were taken prisoner by the forces fighting it. They have told us that ISIS sold grain and oil to the Syrian government while in return they were supplied with electricity, and that the Syrians even sent in experts to help repair the oil facility in Deir ez Zour, a major city in southeast Syria, under ISIS protection. Early in the the revolution, Bashar al-Assad released al Qaeda operatives and other jihadists from his prison to make the case that he was fighting terrorists, not rebellious people hoping for democracy. One of those jihadists he released, known as Alabssi, was one of the ISIS leaders in the battle in Sweida. Syria Update: The Peace of the Graveyard, Then What? What awaits returnees is indicated by the reported comments of the head of the Syrian Air force Intelligence administration, Jamil al-Hassan. According to the Syria Observer, ‘Hassan’s speech, which began with the trumpeting of victories, moved into a discussion about a future plan to stimulate a new phase of the conflict…. ‘The future plan includes a number of sections that have been established according to priorities developed by the regime’s senior leadership. It begins with the removal of everything that could affect them in the future, or undermine their work internally. All those concluded to be a hinderance to the plan and its future will be labeled as “terrorists” by the regime’s senior leadership. Whether their crime was in speech or in action, or even if they remained silent, they will be considered a terrorist and prosecuted publicly or secretly. ‘The Head of the Air Force Intelligence said that more than three million Syrians are wanted and their judicial cases were ready. He added that “the huge number of people wanted will not be a major difficulty in achieving the plan. Nor is it likely that ISIS/Daesh will be eliminated. Assad has been playing a dirty game, “opposing” Islamic fundamentalism or encouraging it when and where it suits him. One of the latest examples is the massacre committed by ISIS of Druze in Sweida province in Syria. The Daily Beast reports that this massacre was evidently carried out with the cooperation of Assad’s soldiers. According to Druze leaders, Assad encouraged the massacre in retaliation for the Druze in Suweida having refused to enlist in the Syrian army to carry out the final assault in Idlib. This continued presence may give US imperialism the excuse it wants to keep its troops in Syria in alliance with the PYD. As for Russian imperialism, after participating in some of the most monstrous war crimes of this century, it is likely to now be seeking profitable investments and/or a means of developing further military bases there. The Israeli regime seems to be working towards a deal with Assad. That deal amounts to an agreement that Hezbollah and/or any Iranian forces will be kept a set distance away from the Israeli occupied sector of the Golan Heights. On this basis, some sort of peace deal may be agreed to by the United Nations. Incarcerating or murdering 3 million Syrians “not a major difficulty” for the Assad regime. "Whether their crime was in speech or in action, or even if they remained silent, they will be considered a terrorist and prosecuted publicly or secretly." Considering making that my new signature. Thanks, nazi air force intelligence guy. "‘The Head of the Air Force Intelligence said that more than three million Syrians are wanted and their judicial cases were ready." Very ambitious. You sure you can handle that? "He added that “the huge number of people wanted will not be a major difficulty in achieving the plan." A Syria with 10 million trustworthy people obedient to the leadership is better than a Syria with 30 million vandals,” as he put it.’"
I wonder what constitutes the remained silent/thought crime category. Hung out with the wrong crowd in high school? Good luck of being born to disobedient parents? Clicking subscribe on the wrong youtube video? No no, what am I saying. I'm sure the Bashar has his reasons, and that they are very sensible and reasonable. Sensible, reasonable reasons. Chris Williamson MP Praises Assad Apologist. At the world's highest diplomatic levels. The League of the South hates black people, Jews, and lots of other people. But there's one country, and one man, it really, really likes. The League of the South, America’s leading neo-secessionist group, is a white supremacist organization that describes the Deep South as “White Man’s Land.” It speaks often of a coming race war, which its leader warns black people will surely lose. It hates Jews. It believes the antebellum South was a rare remnant of true Christianity in a godless world. It denounces egalitarianism as a “fatal heresy.” It openly embraces the Ku Klux Klan and other extremists. But like a rapidly growing proportion of the American radical right, along with its European extremist analogs, the League of the South admires Russia more and more with each passing day. The reason, in a name, is Vladimir Putin. Russia under Putin, particularly since his third term as president began in 2012, has come to embody much of what the radical right aspires to. It is deeply nationalistic, authoritarian, and, increasingly, a defender of “traditional” values—values that include a new fondness for the conservative Russian Orthodox Church and also contempt for LGBT people and a pervasive denigration of women. And it is anti-globalist, arguing instead for what the far right calls “true diversity” (that is, nations that are homogeneous internally but starkly different from one another).